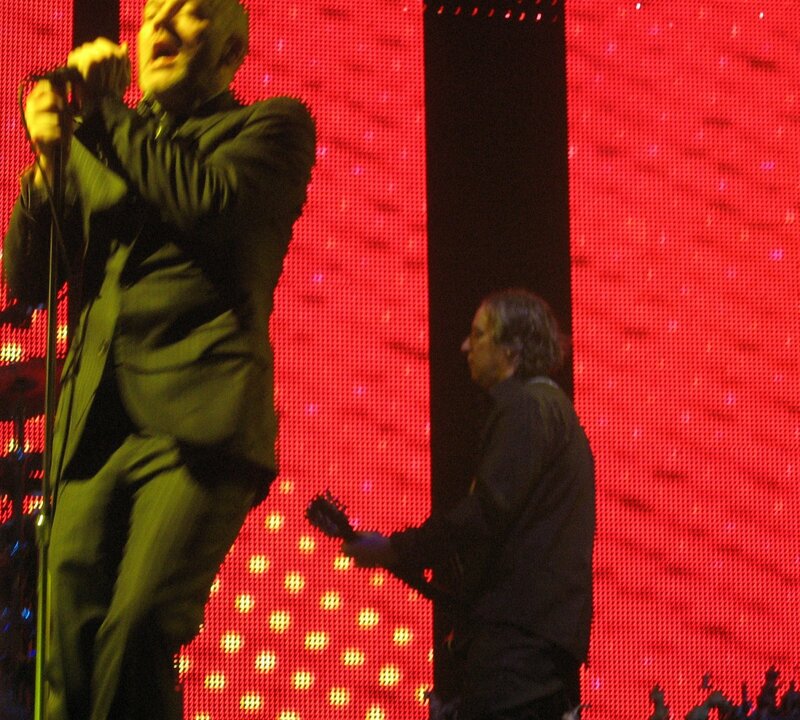 More details about R.E.M.’s Collapse into Now have arrived. Mills discussed the album with several music news outlets, dropping hints at the new sound and tracklisting. Patti Smith guests on a song called “Blue,” Eddie Vedder sings on “It Happens Today,” and Peaches on a song that includes the word “alligator” in the title. Other song titles on the 12 track album include “Walk it Back,” a piano ballad, rocker “All the Best” featuring Mills and Stipe on lead vocals (YES! ), and “Every Day is Yours to Win.” The new album is expected in Spring 2011 and was produced by Jacknife Lee. Part of the recording took place in the exact same studio in Germany where U2 recorded Achtung, Baby! Nagging questions: What’s the release date and isn’t this the last album on the Warner contract the band signed for a reported $70 million? Speaking of Are We Them, the fire that damaged Rick the Printer‘s old place near the R.E.M. Steeple on Oconee was apparently caused by a portable heater and a can of fuel presumably left there by “vagrants” using the space for shelter. Bummer. Elf Power, James Husband, Jason Isbell, Twin Tigers, and Mass Solo Revolt are all appearing on a tribute album to Guided By Voices. Speaking of tributes, Ruby Isle is covering Guns N’ Roses’s Appetite for Destruction. You can hear their take on “Paradise City” here. 1987 FTW! I should throw in a Mighty Boosh quote here but I’ll pass. Gift Horse starts its East Coast Tour today. Remember how we had those awesome Halloween videos and Widespread Panic had dressed up in them? Well, here’s some pics of their 2010 Halloween show along with a review! And here’s a fun interview with B-52s Fred Schneider about his new project and his Christmas album! In non-music news, Toys for Tots drive starts this Saturday. And that’s the news from around the web. Remember, if you’ve got some juicy news tidbits, email athensmusicjunkie@gmail.com.